The Muslim Women (Protection of Rights on Marriages) Bill 2017 was passed recently by the Lok Sabha declaring instant triple talaq illegal, criminalising it up to three years in jail for the husband. 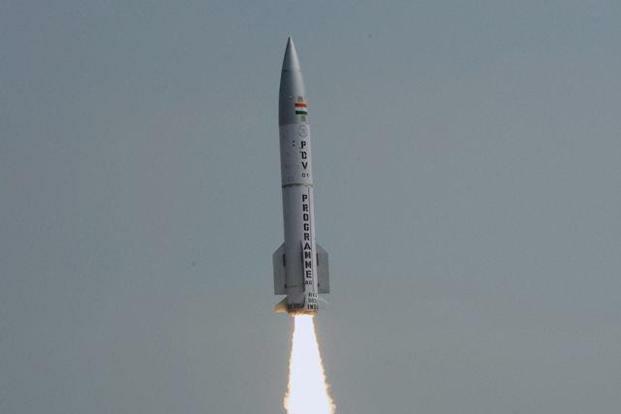 Indigenously developed Prithvi Advanced Air Defence (AAD) supersonic interceptor missile was successfully test-fired from a test range in Odisha. It is capable of destroying any incoming ballistic missile in low altitude. The target missile Prithvi interceptor AAD missile was launched from launch complex 3 of Integrated Test Range (ITR) at Chandipur in Odisha. The Parliament has passed National Capital Territory of Delhi Laws (Special Provisions) Second Amendment Bill, 2017. It seeks to amend National Capital Territory of Delhi Laws (Special Provisions) Second Act, 2011. The Bill extends deadline for relocating slum dwellers and Jhuggi-Jhopri clusters, regulating street vendors, regularising unauthorised colonies, village abadi areas in NCT Delhi and calls for creating policy for farm houses constructed beyond permissible limits. The Andhra Pradesh Fibre Grid project was inaugurated by President Ram Nath Kovind, aimed at providing affordable high-speed internet service to every household in the state at a nominal rate. Fibre Grid project also termed as Triple Play2 Services envisages to provide internet, television and telephone services to more than one lakh households in the state at a nominal price. The second India-Afghanistan air cargo route linking Kabul to Mumbai was officially inaugurated at Hamid Karzai international airport in Kabul. It is expected to boost export of fresh fruits and medicinal plants from Afghanistan.